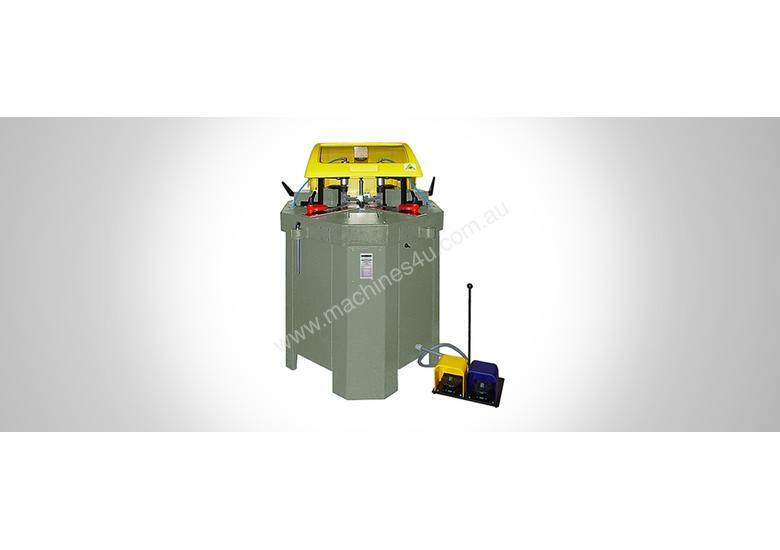 Crimping machine for closing corners of aluminium profiles of all types. The machine is easy to adjust. The blade units are equipped with a quick release mechanism and magnets to prevent them from falling.